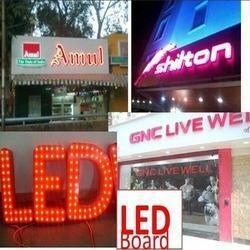 Pioneers in the industry, we offer flex sign board / dealer board pan india, led board and glow sign board from India. With the support of our experienced and highly tireless team of workers, we are riveted in delivering an extensive consignment of Hoarding Global Advertisements. These services are rendered under the command of skillful and trained personnel as per set industry guidelines and principles. Apart from this, these presented services are highly commended and treasured. We being an accredited business entity are engaged in presenting Sign Board to our patrons. Consistent hard work of our diligent workforce allows us to deliver these services in a swift manner with complete efficiency. As well, these are delivered under the command of competent personnel of our crew to preserve their perfection and consistency. We have carved out a unique and distinct position in the market by offering a wide assortment of LED Board to the customer. These services are offered with high grade cutting tools and modern technology. Also, we are offering these services at industry leading prices. 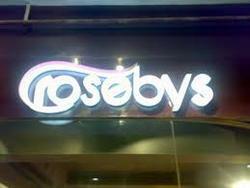 Owing to the tireless efforts of our experienced professionals, we are able to offer a wide gamut of Glow Sign Hoarding Board that is provided in various types as per the varied needs of the clients. Abundant for obtaining very budget friendly prices and top notch techniques, the provided services are broadly admired by different places. We also provide these services at market leading price. 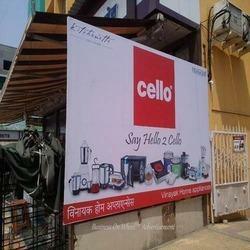 Looking for Sign Boards Advertisement ?